1 A None No Power Seat 1 A is a Business Class Bulkhead seat that has extra legroom. The proximity of the galley and lavatory can be bothersome. There may be no floor storage for this seat during takeoff and landing. This is a bassinet location, so passengers traveling with infants may be seated in this area. 1 D None No Power Seat 1 D is a Business Class Bulkhead seat that has extra legroom. The proximity of the galley and lavatory can be bothersome. There may be no floor storage for this seat during takeoff and landing. This is a bassinet location, so passengers traveling with infants may be seated in this area. 1 G None No Power Seat 1 G is a Business Class Bulkhead seat that has extra legroom. The proximity of the galley can be bothersome. There may be no floor storage for this seat during takeoff and landing. This is a bassinet location, so passengers traveling with infants may be seated in this area. 1 K None No Power Seat 1 K is a Business Class Bulkhead seat that has extra legroom. The proximity of the galley can be bothersome. There may be no floor storage for this seat during takeoff and landing. This is a bassinet location, so passengers traveling with infants may be seated in this area. 10 C None No Power Seat 10 C is a standard Economy Class seat whose proximity to the galley may be bothersome. 10 D None No Power Seat 10 D is a standard Economy Class seat that may have limited recline due to the galley behind. 10 E None No Power Seat 10 E is a standard Economy Class seat that may have limited recline due to the galley behind. 10 F None No Power Seat 10 F is a standard Economy Class seat that may have limited recline due to the galley behind. 10 G None No Power Seat 10 G is a standard Economy Class seat that may have limited recline due to the galley behind. 10 H None No Power Seat 10 H is a standard Economy Class seat whose proximity to the galley may be bothersome. 11 C None No Power Seat 11 C is a standard Economy Class seat whose proximity to the galley may be bothersome. 11 H None No Power Seat 11 H is a standard Economy Class seat whose proximity to the galley may be bothersome. 12 C None No Power Seat 12 C is a standard Economy Class seat whose proximity to the galley may be bothersome. 12 D None No Power Seat 12 D is a standard Economy Class seat that may have limited legroom due to the galley in front. 12 E None No Power Seat 12 E is a standard Economy Class seat that may have limited legroom due to the galley in front. 12 F None No Power Seat 12 F is a standard Economy Class seat that may have limited legroom due to the galley in front. 12 G None No Power Seat 12 G is a standard Economy Class seat that may have limited legroom due to the galley in front. 12 H None No Power Seat 12 H is a standard Economy Class seat whose proximity to the galley may be bothersome. 26 A None No Power Seat 26 A is an Economy Class seat that may have limited recline. The proximity to the lavatories may be bothersome. 26 C None No Power Seat 26 C is an Economy Class seat that may have limited recline. The proximity to the lavatories may be bothersome. 27 D None No Power Seat 27 D is an Economy Class seat that may have limited recline. The proximity to the lavatories may be bothersome. 27 E None No Power Seat 27 E is an Economy Class seat that may have limited recline. The proximity to the lavatories may be bothersome. 27 F None No Power Seat 27 F is an Economy Class seat that may have limited recline. The proximity to the lavatories may be bothersome. 27 G None No Power Seat 27 G is an Economy Class seat that may have limited recline. The proximity to the lavatories may be bothersome. 27 H None No Power Seat 27 H is an Economy Class seat that may have limited recline. The proximity to the lavatories may be bothersome. 27 K None No Power Seat 27 K is an Economy Class seat that may have limited recline. The proximity to the lavatories may be bothersome. 28 A None No Power Seat 28 A is an Economy Class Exit Row seat that has extra legroom. The proximity to the lavatory can be bothersome as passengers often congregate in this area. The tray table is in the armrest, making the armrests immovable and slightly reducing seat width. There is no floor storage for this seat during takeoff and landing. 28 C None No Power Seat 28 C is an Economy Class Exit Row seat that has extra legroom. The proximity to the lavatory can be bothersome as passengers often congregate in this area. The tray table is in the armrest, making the armrests immovable and slightly reducing seat width. There is no floor storage for this seat during takeoff and landing. 28 D None No Power Seat 28 D is an Economy Class Exit Row seat that has extra legroom. The proximity to the lavatory can be bothersome as passengers often congregate in this area. The tray table is in the armrest, making the armrests immovable and slightly reducing seat width. There is no floor storage for this seat during takeoff and landing. This is a bassinet location, so passengers traveling with infants may be seated in this area. 28 E None No Power Seat 28 E is an Economy Class Exit Row seat that has extra legroom. The proximity to the lavatory can be bothersome as passengers often congregate in this area. The tray table is in the armrest, making the armrests immovable and slightly reducing seat width. There is no floor storage for this seat during takeoff and landing. This is a bassinet location, so passengers traveling with infants may be seated in this area. 28 F None No Power Seat 28 F is an Economy Class Exit Row seat that has extra legroom. The proximity to the lavatory can be bothersome as passengers often congregate in this area. The tray table is in the armrest, making the armrests immovable and slightly reducing seat width. There is no floor storage for this seat during takeoff and landing. This is a bassinet location, so passengers traveling with infants may be seated in this area. 28 G None No Power Seat 28 G is an Economy Class Exit Row seat that has extra legroom. The proximity to the lavatory can be bothersome as passengers often congregate in this area. The tray table is in the armrest, making the armrests immovable and slightly reducing seat width. There is no floor storage for this seat during takeoff and landing. This is a bassinet location, so passengers traveling with infants may be seated in this area. 28 H None No Power Seat 28 H is an Economy Class Exit Row seat that has extra legroom. The proximity to the lavatory can be bothersome as passengers often congregate in this area. The tray table is in the armrest, making the armrests immovable and slightly reducing seat width. There is no floor storage for this seat during takeoff and landing. 28 K None No Power Seat 28 K is an Economy Class Exit Row seat that has extra legroom. The proximity to the lavatory can be bothersome as passengers often congregate in this area. The tray table is in the armrest, making the armrests immovable and slightly reducing seat width. There is no floor storage for this seat during takeoff and landing. 39 D None No Power Seat 39 D is a standard Economy Class seat. However, this seat may often be bumped by service carts or others passing by due to the awkward configuration transition from 4 to 3 seats. 39 G None No Power Seat 39 G is a standard Economy Class seat. However, this seat may often be bumped by service carts or others passing by due to the awkward configuration transition from 4 to 3 seats. 41 H None No Power Seat 41 H is an Economy Class seat that may have limited recline. The proximity to the lavatory may be bothersome. 41 K None No Power Seat 41 K is an Economy Class seat that may have limited recline. The proximity to the lavatory may be bothersome. 43 A None No Power Seat 43 A is an Economy Class seat located in the last row of the plane and may have limited recline. The proximity to the lavatory and galley may be bothersome. 43 C None No Power Seat 43 C is an Economy Class seat located in the last row of the plane and may have limited recline. The proximity to the lavatory and galley may be bothersome. 43 G None No Power Seat 43 G is a standard Economy Class seat however, the proximity to the lavatory may be bothersome. 44 D None No Power Seat 44 D is an Economy Class seat located in the last row of the plane and may have limited recline. The proximity to the lavatory and galley may be bothersome. 44 G None No Power Seat 44 G is an Economy Class seat located in the last row of the plane and may have limited recline. The proximity to the lavatory and galley may be bothersome. 7 A None No Power Seat 7 A is a standard Business Class seat. However, the proximity to the galley may be bothersome. 7 D None No Power Seat 7 D is a standard Business Class seat. However, the proximity to the galley may be bothersome. 7 G None No Power Seat 7 G is a standard Business Class seat. However, the proximity to the galley may be bothersome. 7 H None No Power Seat 7 H is a standard Business Class seat. However, the proximity to the galley may be bothersome. 9 A None No Power Seat 9 A is a standard Economy Class seat with additional legroom, however, the proximity to the lavatories and galleys may be bothersome. The tray table is in the armrest, making the armrests immovable and slightly reducing seat width. There is no floor storage for this seat during takeoff and landing. 9 C None No Power Seat 9 C is a standard Economy Class seat with additional legroom, however, the proximity to the lavatories and galleys may be bothersome. The tray table is in the armrest, making the armrests immovable and slightly reducing seat width. There is no floor storage for this seat during takeoff and landing. 9 D None No Power Seat 9 D is a standard Economy Class seat with additional legroom, however, the proximity to the lavatories and galleys may be bothersome. The tray table is in the armrest, making the armrests immovable and slightly reducing seat width. There is no floor storage for this seat during takeoff and landing. 9 E None No Power Seat 9 E is a standard Economy Class seat with additional legroom, however, the proximity to the lavatories and galleys may be bothersome. The tray table is in the armrest, making the armrests immovable and slightly reducing seat width. There is no floor storage for this seat during takeoff and landing. 9 F None No Power Seat 9 F is a standard Economy Class seat with additional legroom, however, the proximity to the lavatories and galleys may be bothersome. The tray table is in the armrest, making the armrests immovable and slightly reducing seat width. There is no floor storage for this seat during takeoff and landing. 9 G None No Power Seat 9 G is a standard Economy Class seat with additional legroom, however, the proximity to the lavatories and galleys may be bothersome. The tray table is in the armrest, making the armrests immovable and slightly reducing seat width. There is no floor storage for this seat during takeoff and landing. 9 H None No Power Seat 9 H is a standard Economy Class seat with additional legroom, however, the proximity to the lavatories and galleys may be bothersome. The tray table is in the armrest, making the armrests immovable and slightly reducing seat width. There is no floor storage for this seat during takeoff and landing. 9 K None No Power Seat 9 K is a standard Economy Class seat with additional legroom, however, the proximity to the lavatories and galleys may be bothersome. The tray table is in the armrest, making the armrests immovable and slightly reducing seat width. There is no floor storage for this seat during takeoff and landing. Each seat on the aircraft is equipped with a Personal TV. The select in-flight entertainment system offered by Malaysia Airlines, gives a world of high quality, highly engaging entertainment onboard. From the latest blockbusters to popular TV shows, to multi-player games and critically acclaimed album releases, passengers enjoy a MH Experience with a specially curated selection designed to delight their senses. All seats are equipped with 110v AC power supply. On all international flights, complimentary beverage and meal service is offered in all classes. Malaysia Airline's is offering child meals for child passengers between the ages of 2 and 12, travelling on Business or Economy Class. Malaysia Airlines is operating the A330-300 on long-haul flights. This is the updated version of the A330-300 that has a more spacious interior featuring 27 Business Class flat bed seats and 263 Economy Class seats. 1K is definitely the best seat among the throne seats, due to the larger footwell size. The seats are extremely comfortable when you put the seat flat and lean against the seat shell in a lounging position. Of course, with shoes taken off. Seatguru has a slight error in the map display - rows 9-10 should be in a mini cabin between row 7 and door 2. The toilets around door 2 are reserved for J pax, cabin crew will unlock upon request. 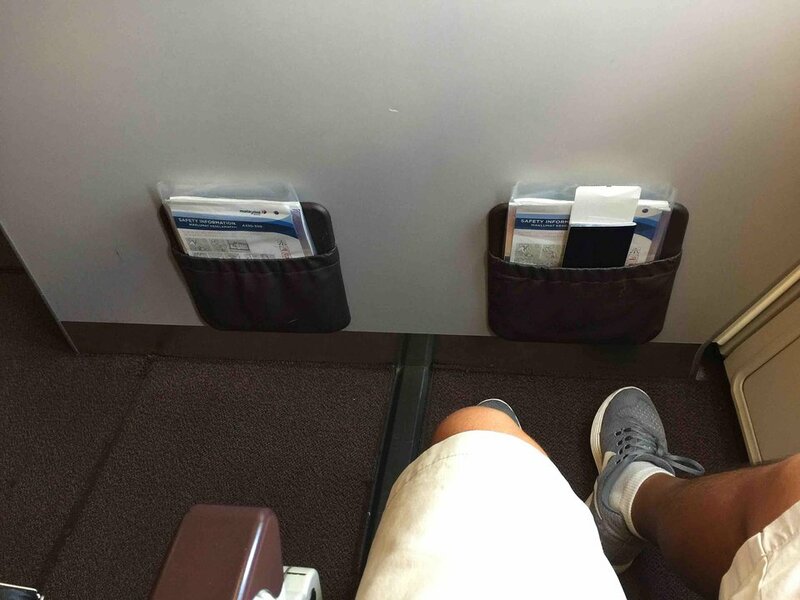 Excellent seat compared to others on the flight which pay the same price. Legroom is the same as the bulkhead seats IDK why tho. The private cabin gives the seats in rows 9-10 an extra cosy feel and a sense of exclusivity. One downside is that the crew keep walking through this aisle in order to serve buisness class pax. You need to pick your seat carefully here. 5A (like 2A and &7A) is a single seat separated from the aisle and, once you are in it, is comfy and gives you a good sleep. However while the bed is flat the access to the aisle is so narrow you can't swing round to put shoes on etc.The K seats look like they have very difficult access. Couples should chose the central seats. Please note that in this 27 Business Class layout of Malaysian Airlines, seat 1K, 4K and 6K are the best possible seats for single travellers. They are the so called "Throne Seats" with a huge amount of work space on both sides. In my opinion they should be labled green. On the contrary, seat 2K, 5K and 7K are the only business class seats that does not have direct access to the aisle. May be they can be marked yellow? Not good seats on this plane. These seats had far less room than the center seats and infront and behind is a single seat with the same space as these two together. We have changed our return flight seats to centre ones both isle seats. Stadard business class seat which is way too narrow when in the bed position. It's also not possible to draw a separator to the neighbour, so you may feel uncomfortable if it's a stranger. Better pick this seat if you travel with a companion. 4K is nice as long as you don't try to sleep. In bed configuration it's very narrow, there is no space for your arms, and you hit your elbows all to often when you move. It's really like a coffin. 2H was better as at least the left side is open. The layout and seats in the business class cabin on the A330 is without doubt the worst business class product I have ever experienced in the last 20 years, and that's having flown business class on around 20 different airlines. On the KL to Auckland leg I was in 4D and was travelling with a friend who was in 4G. The seats are narrow, cramped, have very little storage space, and a narrow footwell for sleeping. Worst of all, I am 5ft 10 and weigh 75 kilos so am quite slim, but I found it a very tight squeeze getting in and out of the seat. Basically there is very little room between this seat and the one in front and I had to slide in sideways! 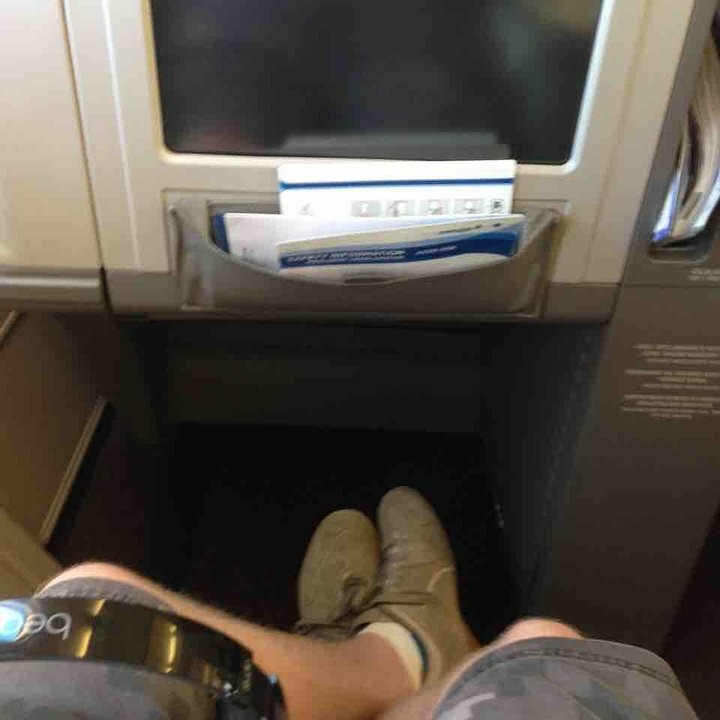 On the return from Auckland to KL I was travelling alone and was very lucky to have seat 1A which is probably the best seat in the whole cabin - lots of space either side of the seat and a large foot well, it really did feel like being in an armchair. The ironic thing is that the business class product on the A380 which Malaysian at ditching is wonderful - a very comfortable seat, a feeling of abundant space and airiness in the cabin, all-in-all an outstanding product. To sum up I would never fly Malaysian business class again if any sector included the terrible layout of their A330. Let's hope that they rectify this dreadful design on the A350. if you are traveling with someone and want to sit together in MH Biz Class on A330 avoid the H and K seats -- considerable less space than the D and G pairs in the middle. The H&K paired seats do not have any storage space. Making the bed up in the window sear is nigh on impossible as space is very cramped. Access to the isle from the window seat requires some athletic manouvres and a friendly fellow passenger. Avoid the paired seats H&K which only have direct aisle access for one person. It is very difficult to get to the aisle from the window seat across a sleeping person even if you know them! 1K offers a lot of space and privacy as it is a single seat occupying a space for two people. Unfortunately the seat is narrower than their business class product on the 737. If you turn a lot, you'll be hitting the "armrest" of the throne seat. 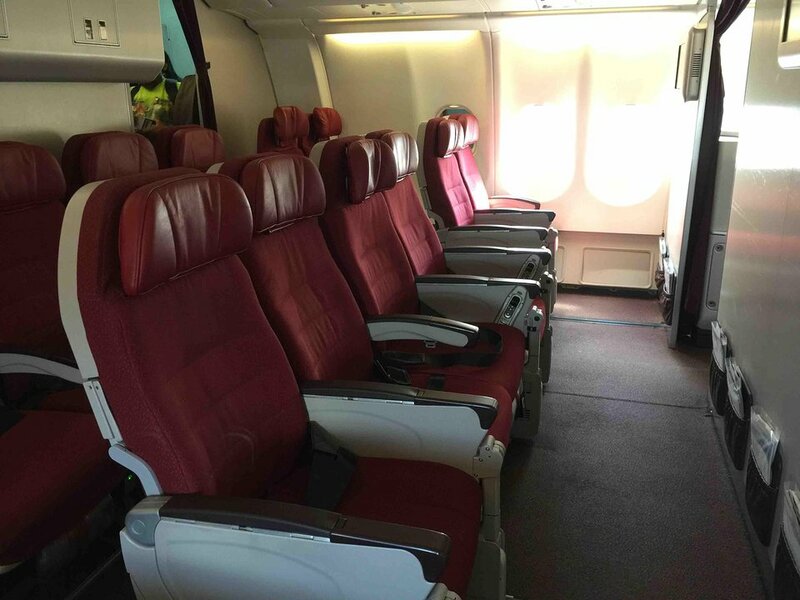 For Beijing to KUL route, seat duvet/bedding are not provided even if it is a midnight flight. Meal service was great. New business class seat on the single A side. It is a tight seat and when in full flat mode does felel tomb like. Saying that a good pillow, seat topper and blanket I slept well. Food and service was good, plenty of films to chose from. Strange location of seat controls meant i kept hillting them with my elbow when sat upright which was annoying. I would definately avoid the window twin seat if you are a solo travellor aisle access would be difficult. The plane i flew had different configuration than shown, behind the bulk head were two rows of economy beofre the galley and toilets. The front row was full of infants and a lot of noise carried into the business cabin. So on that basis I would avoid the last two rows of business. A regular economy class seat, just that view on 24AC and 25AC is slightly obstructed by the aircraft wing, so won't get a good shot when passing by Mount Fuji! For tall people, when trying to sleep with my legs stuck in the cramp space between the 2 seats in front of me, I felt claustrophobic, as if I am in a coffin. Ended up watching movies/TV shows all the way from Auckland to KL. If you take this plane, best to choose the seats where you are not in between the 2 seats in front of you. I always enjoy flying MAS. This was my first time on the A330. The seat was comfortable, service great, excellent meal and great entertainment system. As i don't sleep when flying, the close location to the lavatory was not an issue. Very few people on the flight. This meant plenty of room to move. The Trays feel flimsy but enough room for a laptop. The power plugs are universal if you forget your adaptor. The service was great as usual but the plane was looking a bit worn out and needs doing up again. A lot of people say that the seats are hard and uncomfortable, but I actually found them better than CX's old herringbone seats. The incline didn't bother me much, and the screen was easy to see. Service fantastic as always, with no disturbances other than what seemed like constant turbulence. Found it easy enough to sleep given that it was a red-eye, and woke up feeling well rested. Row 5 is fantastic as it is in the middle of the cabin - not too close to the galley, and not too close to coach. I fly MAS business MEl to KL route. From a seating perspective this is the worst business class in the world! The seats are ROCK hard, and the angle bed are at a very step angle, there is no way you can get comfortable for a restful journey. The service and food was very good, but this was not enough to make up for the very uncomfortable seat. TIP: stick to emirates Business Class either on the MEL to SIN route or MEL to KUL route, if your heading to asia. the Emirates Business MEL to KL is also an angle bed, but the angle is very very slight only. Amazing aircraft lots of space and big windows. The seats were very comfortable. A little hard to recline the seat. The angle-flat seats in business class are just not worth paying the extra thousands of dollars for, especially if you're unlikely to eat much given it's a night flight. They are hopeless for anyone tall. It's like being in a hospital bed without the strapping to keep you secure. These busuness class seats are NOT anywhere near lie flat, and unless sleeping flat on your back are remarkably uncomfortable. They are at sufficient an angle that children and short adults will slide down the seat and end up on the floor if they cannot reach the footplate at the end of the bed. 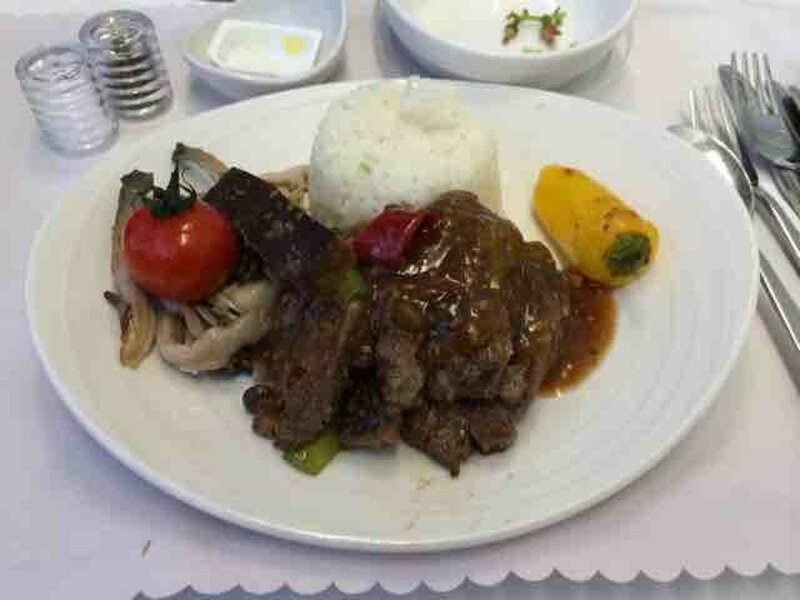 I am an occasional business class user and have used BA, EVA Air and Emirates aswell and this Malaysian Airlines was the worst by some distance. 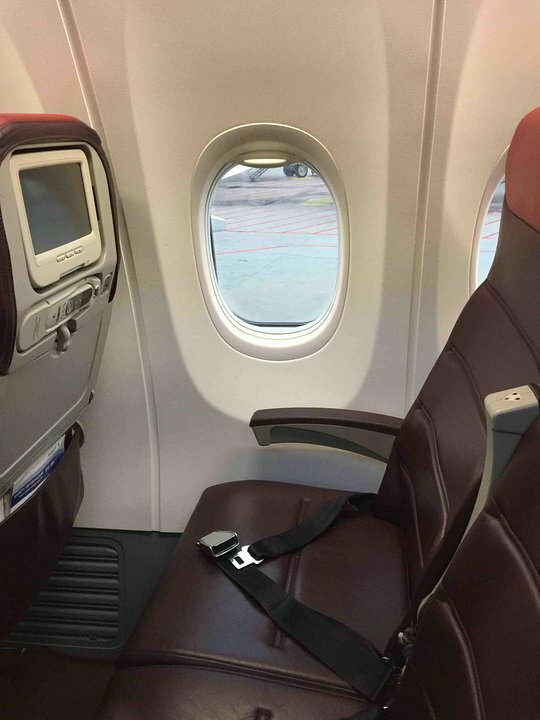 This seat has another profit that it is in the front part of aircraft so it is not near to the washroom of economy class and secondly in take of you don't feel the pressure as it is in the front part. The 2-4-2 configuration is brilliant for this aircraft. Generous legroom for economy class. Comfortable seat and headrest. Brisbane-Kuala Lumpur night flight May 1 2015 : never slept because the set would let my body slide down. Will avoid flying MH business class because of the poor seating. For a business class seat it isn't comfortable when you had it all stretched out. It made you slipped downward. More comfortable to have it 3/4 stretched out. Service is excellent though. The satays were great. Keep up the good job MH. Malaysia Airlines is a great airline. I would fly with them any day over Singapore Airlines. On this flight from Adelaide to Kuala Lumpur the crew were great, but after the MH370 disaster the passenger numbers were low. I LOVED MH and would take any opportunity to fly with them again. Stay Strong Malaysia Airlines. One of the best economy class seats in the sky. Lots of room (I am 6'8"). There were a couple of people who tried to use the space as a pass through, however I will take that over having the seat in front of me in my lap for 6 hours. I agree with the existing comments but would completely avoid this row all together. The galley is very cramped was often blocked to enter through it to access the toilets on A,C side. Consequently many passengers just used the extra space in this bulkhead row as a walkway across to the other aisle. Even members of the crew were using it as a throughfare when others were busy in the gallery (which was most of the 8 hour flight. I was very annoyed with the parade of people stepping over me, and tripping over my belongings. I even paid a surcharge for the seat!